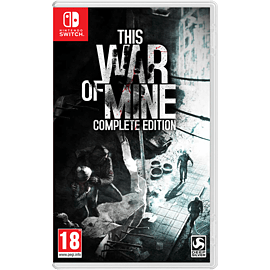 In This War of Mine: Complete Edition, you do not play as an elite soldier, rather a group of civilians trying to survive in a besieged city, struggling with lack of food, medicine and constant danger from snipers and hostile scavengers. The game provides an experience of war seen from an entirely new angle. The pace of This War of Mine is imposed by the day and night cycle. During the day snipers outside stop you from leaving your refuge, so you need to focus on maintaining your hideout: crafting, trading and taking care of your survivors. At night, take one of your civilians on a mission to scavenge through a set of unique locations for items that will help you stay alive. Make life-and-death decisions driven by your conscience. Try to protect everybody from your shelter or sacrifice some of them for longer-term survival. During war, there are no good or bad decisions; there is only survival. The sooner you realise that, the better. Includes main game and two DLCs: "The Little Ones" and "Father's Promise"